Background/Purpose: Rheumatoid arthritis (RA) is characterized by the presence of autoantibodies like rheumatoid factor (RF), anti-cyclic citrullinated peptide-2 (anti-CCP2), & anti-carbamylated protein (anti-CarP) antibodies. It is currently unclear whether changes in autoantibody levels are associated with disease activity/treatment outcomes and whether they are modified by treatment intensity. Therefore, we investigated whether RA-autoantibody levels associate with disease activity and are affected by treatment intensity. Methods: In 381 seropositive RA patients in the IMPROVED study1, we measured at 4 month intervals over the first year of treatment: IgG, IgM, and IgA of anti-CCP2 and anti-CarP, IgM and IgA of RF, and autoantibodies against 4 citrullinated and 2 acetylated peptides. Following initial prednisone and methotrexate (MTX), treatment was escalated or tapered every 4 months according to whether disease activity score <1.6 had been reached. Using generalised estimating equations we investigated whether 1) baseline levels or changes in levels were associated with EULAR response at 4 and 12 months (after correction for baseline determinants), and 2) medication escalation (versus tapering) was associated with a subsequent decrease in levels. Results: For all 14 autoantibodies, levels decreased significantly in the first 4 months and then rose until 12 months. Good EULAR response at 4 months was preceded by higher baseline levels (mean levels for anti-CCP2 IgG, a representative antibody: good-responders: 814 aU/mL; moderate-responders: 490 aU/mL; non-responders: 643 aU/mL), and good responders decreased more in levels 0-4 months than did non/moderate responders (β of 0-4 month change for anti-CCP2: good-responders: -266 aU/mL; moderate-responders: -190 aU/mL; non-responders: -194 aU/mL). However, after correction for multiple testing, this pattern was only significant for 5/14 antibodies. There was no consistent association between EULAR response at 12 months and autoantibody levels or changes. Despite the lack of association with treatment outcomes, levels for most antibodies dropped following treatment escalation, and rose following tapering of treatment. This was best illustrated by the level decrease following the decision at 8 months to restart prednisone (on top of MTX), and rose if MTX was tapered to drug-free (Figure; significant for 12/14 antibodies after correction for multiple testing). Conclusion: Changes in RA-associated antibody levels over time do not associate with better treatment response, but instead are a reflection of treatment intensity. This suggests that autoantibody levels are modifiable by currently available therapies, but that modifying levels is in itself of limited clinical relevance. Disclosure: E. de Moel, None; V. Derksen, None; L. Trouw, None; H. Bang, None; G. Collée, None; L. R. Lard, None; T. W. J. Huizinga, BMS, 2,EU, 2,Arthritis Foundation, 2,IMI, 2,LUMC, 3,Abblynx, 5,Merck & Co., 5,UCB, Inc., 5,BMS, 5,Biotest AG, 5,Janssen, 5,Pfizer, Inc., 5,Novartis, 5,Roche, 5,Sanofi-Aventis, 5,Abbott, 5,Consulting Bioscience, 5,Galapagos, 5,Nycomed, 5,Boeringher, 5,Takeda, 5,Zydus, 5,Epirus, 5,Eli Lilly and Co., 5; C. F. Allaart, Abb Vie, 2; R. E. M. Toes, None; D. van der Woude, None. de Moel E, Derksen V, Trouw L, Bang H, Collée G, Lard LR, Huizinga TWJ, Allaart CF, Toes REM, van der Woude D. In Rheumatoid Arthritis, Changes in Autoantibody Levels Do Not Associate with Treatment Response, but Are a Reflection of Treatment Intensity [abstract]. Arthritis Rheumatol. 2018; 70 (suppl 10). 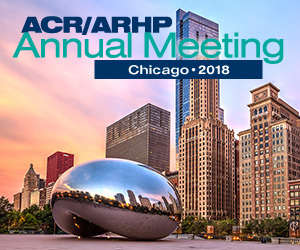 https://acrabstracts.org/abstract/in-rheumatoid-arthritis-changes-in-autoantibody-levels-do-not-associate-with-treatment-response-but-are-a-reflection-of-treatment-intensity/. Accessed April 18, 2019.